Add Carrier Status*, Health Predisposition*, Wellness and Traits reports later for an additional $125. When purchasing through CVS Pharmacy, Best Buy***, Walgreens or Walmart you purchase your saliva collection kit through the retailer, then pay an additional lab fee at 23andMe.com/start to receive your online genetic reports. When paying the lab fee, sales tax is charged if the billing address is in Hawaii, West Virginia, or South Dakota. Learn more about retail kits. Kits purchased through the online 23andMe store, Amazon.com, Target, Sam's Club, or select Best Buy*** do not require an additional lab fee, however, sales tax is charged for shipments to Hawaii, West Virginia, or South Dakota. Kits available for sale through one of these authorized retailers are intended for use within the United States. Individuals must provide a sample and return the collection kit from the same country to which the kit was shipped by 23andMe. 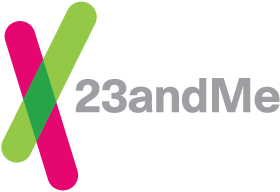 The online 23andMe store uses the United States Postal Service (USPS) to verify shipping locations. To see if your preferred shipping address is verified by USPS, click here(this link will take you to a USPS page). 23andMe has a 30 day refund policy; the kit must be returned and cannot already be analyzed or in the process of being analyzed by the lab. Be sure to read the full policy. ***Best Buy stores may sell split priced or full priced kits. Be sure to read the display to understand pricing.